Young American talent Tayler Wiles had a strong 2012 season and secured a slot with the prestigious Specialized lululemon team as a result. The 23 year old regards the move as a huge opportunity for herself, and is determined to ride as well as possible and to learn as much as she can in the year ahead. “I think I will do a great deal of learning and be a big team player,” the Salt Lake City rider told VeloNation in a video interview conducted at the recent team training camp in Portugal’s Algarve region. After placing soccer from the ages of five to eighteen, she took up the sport after going to college and has given more and more of her time to cycling. She initially rode her bike with a friend and then got increasingly involved in competition, racing with the Peanut Butter Twenty12/Exergy Twenty12 team in 2011 and 2012. Last year was an important season as regards her progression, with fourth in the time trial in the San Dimas stage race, fifth on the Gila Monster stage plus eight overall in the Tour of the Gila and sixth in the Amgen Tour of California time trial all attracting attention. For a young rider, that run of results was important as it both showed her ability and also a consistency that should only become stronger as she ages. Her ride against some big guns – including the Specialized lululemon team – in May then put her even more on the radar. 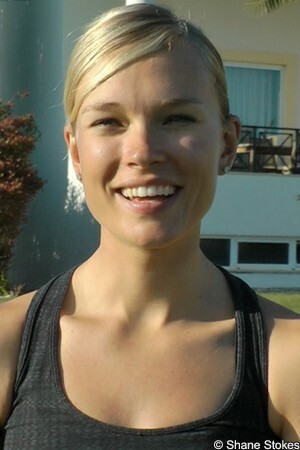 Wiles contacted Specialized lululemon team owner Kristy Scrymgeour around the beginning of August. The conversation helped to raise interest in the possibility of taking her on board. She had just finished second in the Tour de Nez, which helped, and after netting a solid fourteenth overall in the 2.1 Giro Toscana Femminile/Memorial Michela Fanini in early September, she went on to snag second and third on stages in the Tour Cycliste Féminin de l’Ardèche and finished third overall. Listing her biggest goal as qualifying for the world championships next autumn, Wiles also wants to perform well in the World Cup races, helping the team to succeed there.